LG Electronics, the South Korean tech giant has officially announced the launch of its new smartphone – LG K12+ in Brazil. 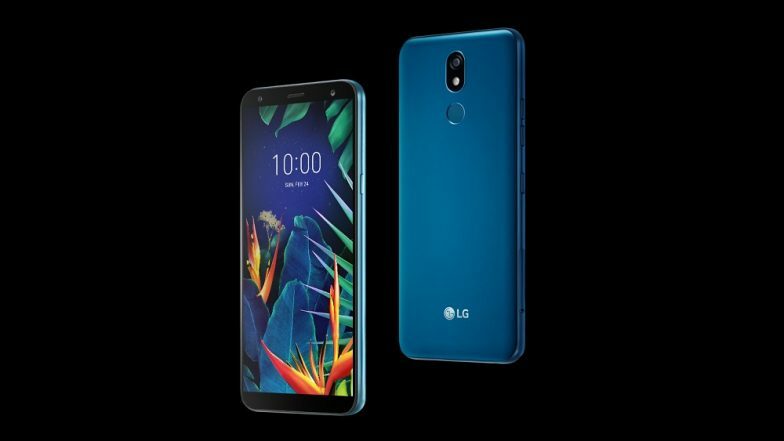 The new mid-range smartphone is technically an updated version to LG K40 that was unveiled before MWC 2019 last month. The main underlines of LG K12+ are AI-enabled camera with different image settings that can be adapted as per eight different subjects such as people, animals, and food. Moreover, the phone also comes with an 8MP selfie camera with an LED flash. Priced at BRL 1199 (around Rs 21,000), the phone is offered in three colours - Moroccan Blue, Platinum Gray, and Black. Though the phone is launched in Brazil, there is no official word from the company on the launch of the phone for other markets. Apple AirPower Wireless Charging Product For iPhone, Apple Watch and AirPod Shelved; Reportedly Faced Overheating Issues. As far as the specifications are concerned, the phone gets a 5.7-inch HD+ display with resolution of 720 X 1440 pixels and aspect ratio of 18:9. The dual-SIM smartphone runs Android 8.1 Oreo and it is powered by an octa-core MediaTek Helio P22 processor, which is clubbed to a 3GB of RAM. For optics, there is a single 16MP rear camera with f/2.0 aperture and LED flash that supports HDR and Phase Detection Autofocus (PDAF). The phone also gets an 8MP camera upfront with LED flash for selfies and video calling. The octa-core chipset is also clubbed with 32GB internal memory which can be expanded up to 2TB via microSD card. For connectivity, there are 4G LTE, Wi-Fi 802.11 ac, Bluetooth v5.0, GPS, micro-USB port and much more. Fuelled by 3000 mAh battery, the device also carry sensors such as proximity sensor, accelerometer and ambient light.